Step 3: Preparing your course request form. Read the options below and click the appropriate links for information that pertains to your academic plan. Once you have read through the information, proceed to the bottom of this page to start the Course Request Form. As part of your Course Request Form we will ask you to list all exam and college credit that you have already earned or that you think you may earn. (We realize that you may not have received all of your AP scores yet.) Your advisor will take this information into account when creating your schedule. For example, if you have taken the Psychology AP exam and your MAP requires you to take A Psy 101, your advisor will make an appropriate substitution. To learn more about AP Exam equivalencies and IB exam equivalencies here. Freshman Seminars are a great opportunity to learn about a cutting edge topic while becoming familiar with the expectations of University life. Get to know fellow students and an esteemed member of our faculty in a small class setting. 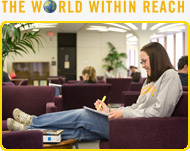 Learn about the University at Albany’s resources, and develop the skills needed to be a successful college student. Honors College courses can only be taken by students who have been admitted into the Honors College. L-LCs offer incoming freshmen with similar interests, majors, or lifestyles, the opportunity to live together in the same residence hall, take some of their courses together, and meet regularly with faculty and upper-classmen who share their interests. The University at Albany offers freshmen a number of Living-Learning Communities to suit a variety of career paths and interests. Your advisor will substitute in the appropriate classes if you are admitted to an LLC.